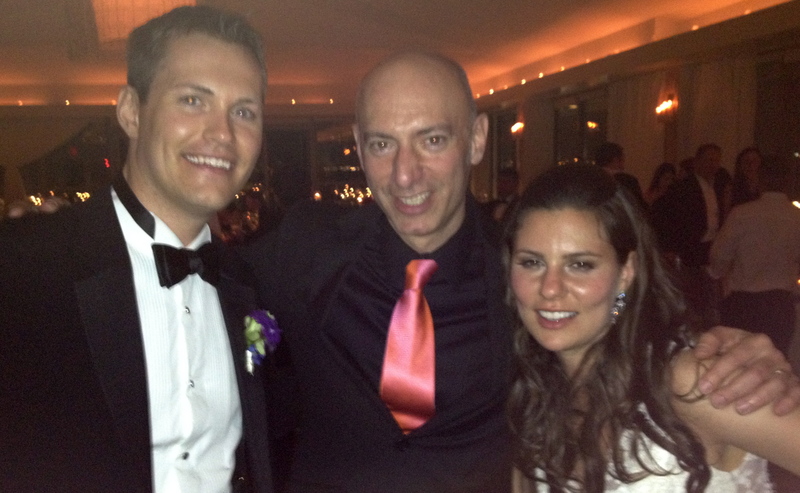 Melissa and Nate came to see us last fall at a charity event on the upper west side close to their home. After our performance they stayed for a chat and we really hit it off. They had recently been to an event with a band they described as “cheesy” and we assured them we are anything but. 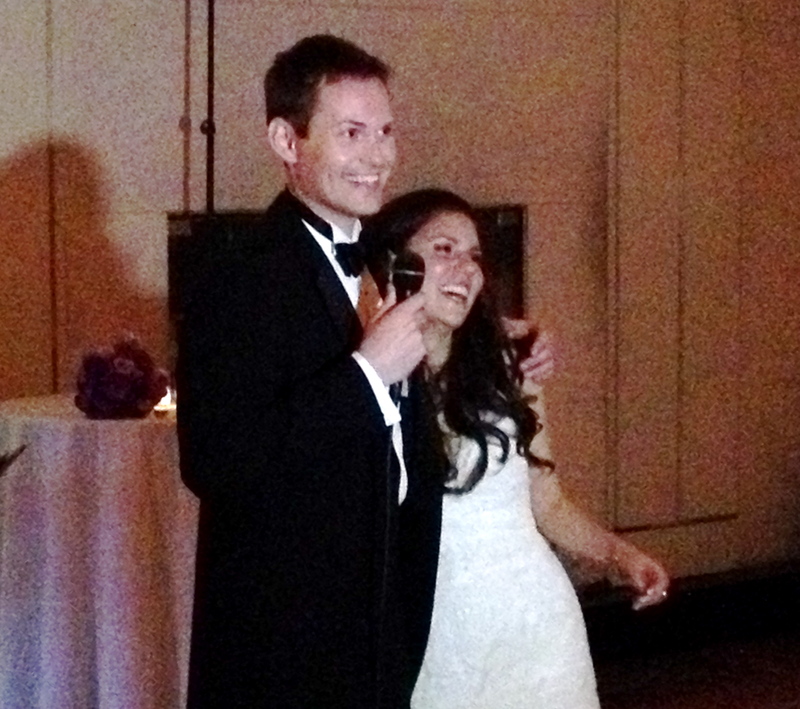 Like most of our clients Melissa and Nate have very eclectic taste in music and we love it! We hit on a little bit of everything from Beyonce’ to Journey and, of course, no jewish wedding would be complete without a good luck Hora! We provided a duo of flute and piano to play classical selections as well as an arrangement of All You Need is Love for Melissa and Nate’s ceremony. For the cocktail hour our flutist switched over to sax and he and the pianist played some light jazz which created the perfect background for mingling and appetizers. Then it was time for dinner and dancing. We started off the evening with Melissa and Nate’s first dance selection 1,2,3,4 which was a great choice and a lot of fun to play. We got everyone to join them on the dance floor and went right into a traditional Hora to wish the couple good luck in their life together. 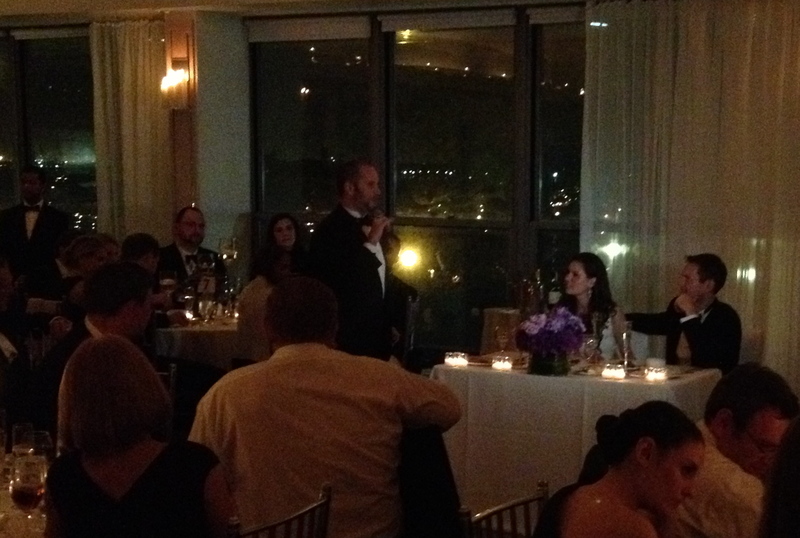 After the Hora it was time for toasts by the best man and maid of honor. Once dinner was finished however, we kicked off a dance set with one of Melissa’s top picks and a new addition to our song list, Love On Top by Beyonce’ we took that right into some Black Eyed Peas, Lady Gaga and then got in the way back machine to hit on some classics like Get Down Tonight and I Wish. Some tunes are just always fun! 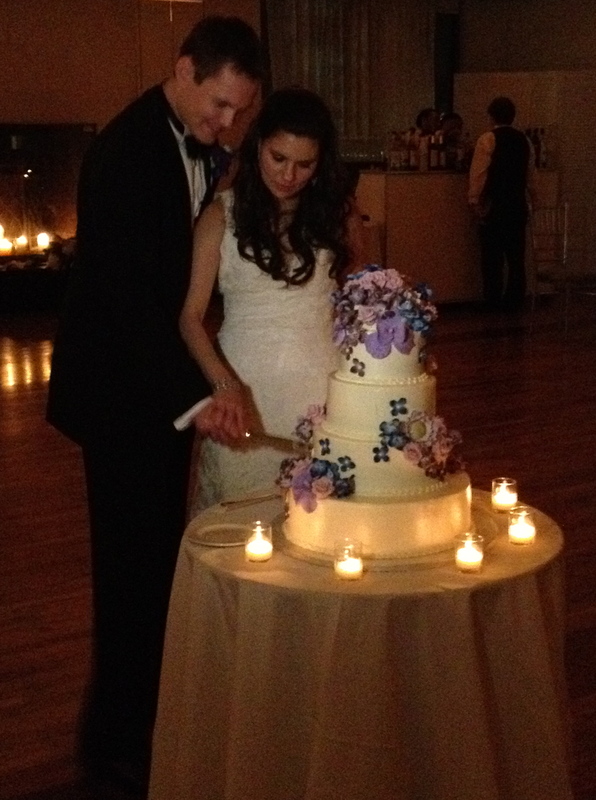 When it came time to cut the cake we played a scaled back version of the first dance as background music for the sweets! Shortly after the cake cutting, Eddie, the maitre d’ came in with the announcement that there were fireworks taking place outside! That’s why you’ve gotta love New York. Anything can happen. 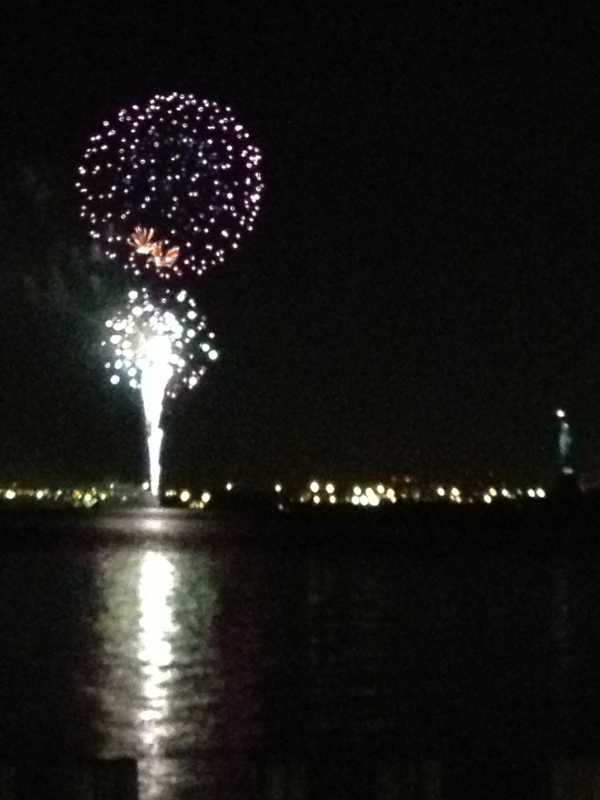 Even impromptu fireworks right outside your wedding venue. The guests (and the band) took a moment to check out the display from the terrace. Of course, the evening ended as it often does – with everyone dancing and singing along to classic rock tunes like Don’t Stop Believin’ and You Shook Me All Night Long, but for the very last song of the night we got everyone together for one last slow dance to the legendary At Last by Etta James. Janet and Josh, Dancing All Night in Camp Hill! Janet and Josh found us online back in February, they had been looking for a band to play their wedding in Camp Hill, PA, a suburb of Harrisburg, and they were psyched when they found out we were available. As was the case most of this summer, there was a bit of rain that day, but they didn’t let it get them down. Their outdoor cocktail hour went off without a hitch, after the addition of a tent to the lawn at the West Shore Country Club. Their guest enjoyed passed appetizers and cocktails along with light background piano music, which was mostly scaled down versions of classic rock tunes with a few modern twists. After cocktails everyone moved inside for dinner, Janet and Josh’s first dance, Manhattan, was a great way to start the evening. They did an amazing job getting it going with their solo dance after which we went right into a pre-salad dance set! Both Josh and Janet wanted to get everyone up and dancing, so we made sure that’s just what happened. After dinner, Josh danced with his mother to In My Life by The Beatles. It was a touching moment for everyone, that song is just so perfect for a mother/son dance. Next came Janet’s dance with her dad, and I love their pick! They chose to get the dancing started again by shakin’ it to Get Down Tonight by KC and the Sunshine Band. Janet asked that Yves invite everyone to join them on the floor half way through the dance, which was a great way to kick off another rockin’ set of dance music. We hit on some modern dance hits from Ke$ha and Rihanna as well as 80’s classics like Billie Jean, complete with guest vocalist (one of Janet’s work colleagues totally nailed it). Janet and Josh were a vibrant, fun loving and gracious bride and groom, they were a lot of fun and we had a great time working with the two of them. 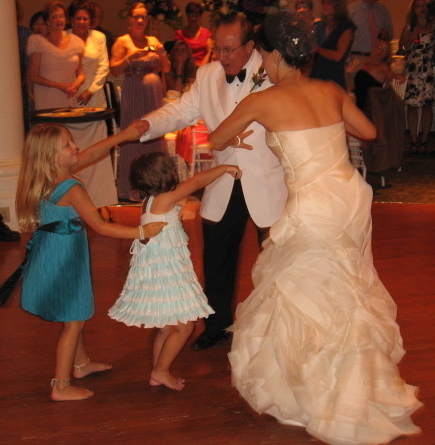 I love it when the bride and groom dance all night, and they certainly did. 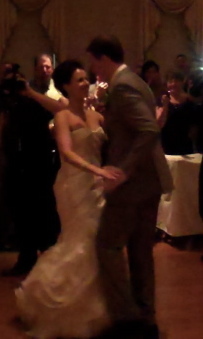 Check out our YouTube channel for a great video of their first dance, Manhattan. Just a quick reminder that Nite-Time is playing live in NYC tonight for the low low cost of FREE! Come on down to the P&G on Columbus Ave. at 78th St. in Manhattan. We start at 6pm! !